So the obsession begins again! 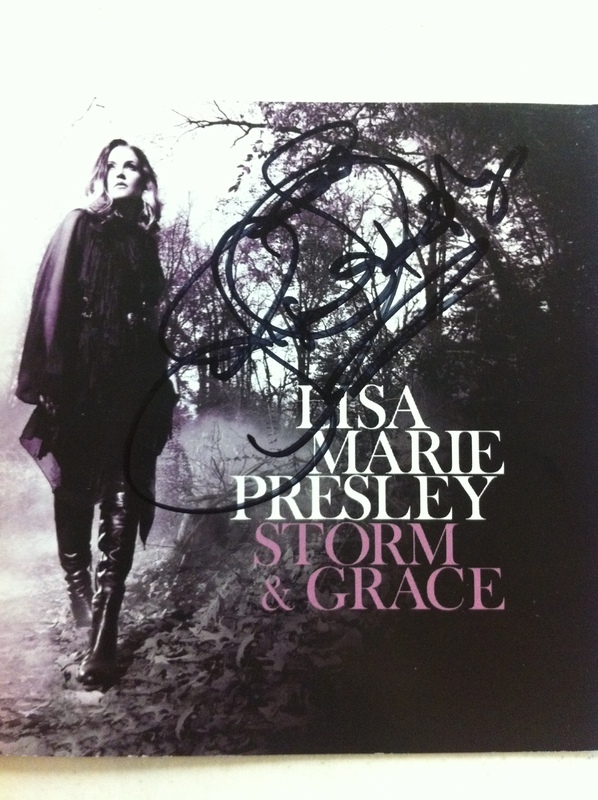 With the release of Lisa Marie Presley’s new album Storm and Grace and her upcoming tour, I am completely obsessed with Lisa Marie Presley again. I never stopped loving her, but I become completely obsessed with her when she tours. 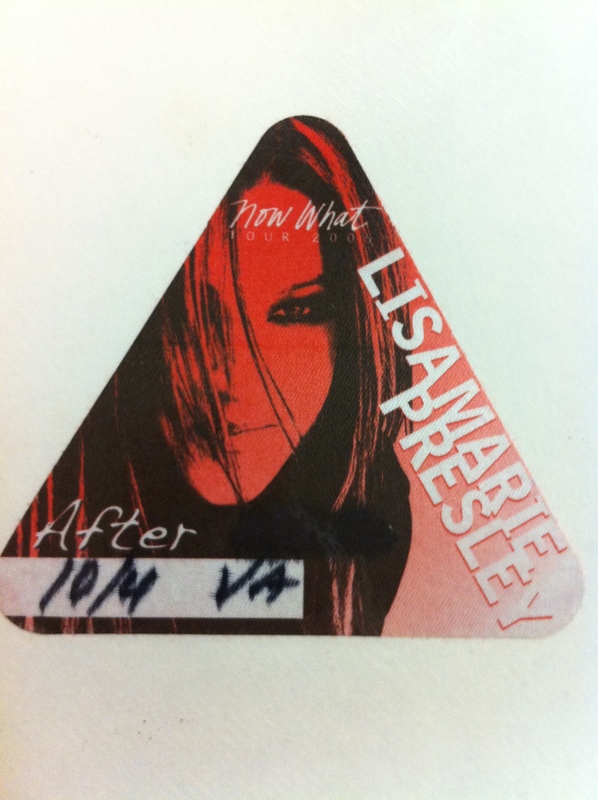 I looked back through my Lisa Marie scrapbook that I started in 2002 the first time I saw Lisa. 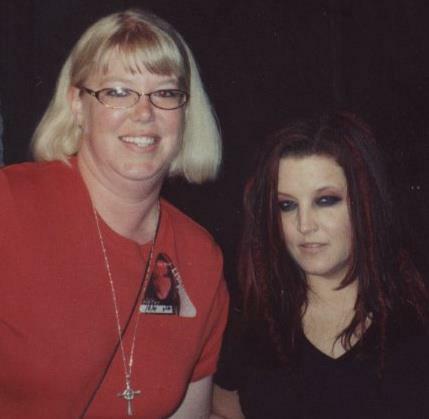 She introduced her song Nobody Noticed It at Elvis’ 25th Anniversary concert at the Pyramid in Memphis. 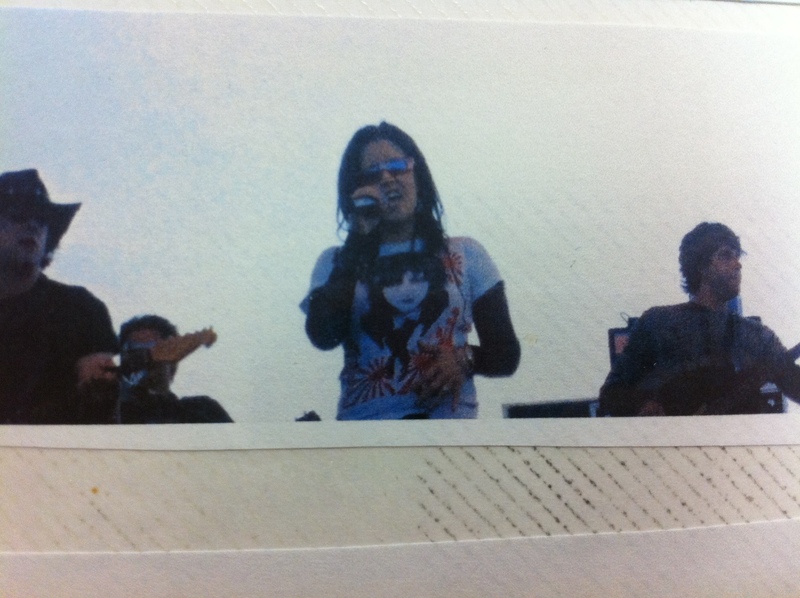 She didn’t sing it live, but played the recorded version with the words on the screen. 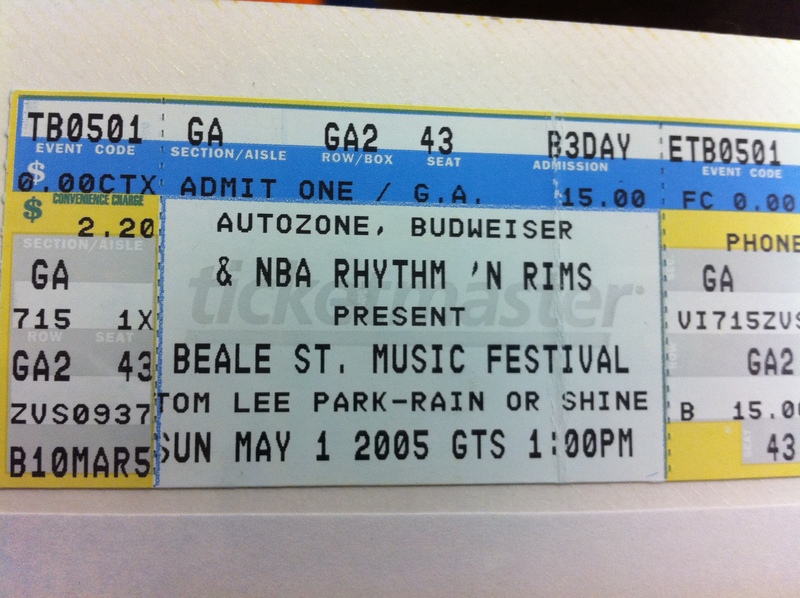 That was it, I was hooked. 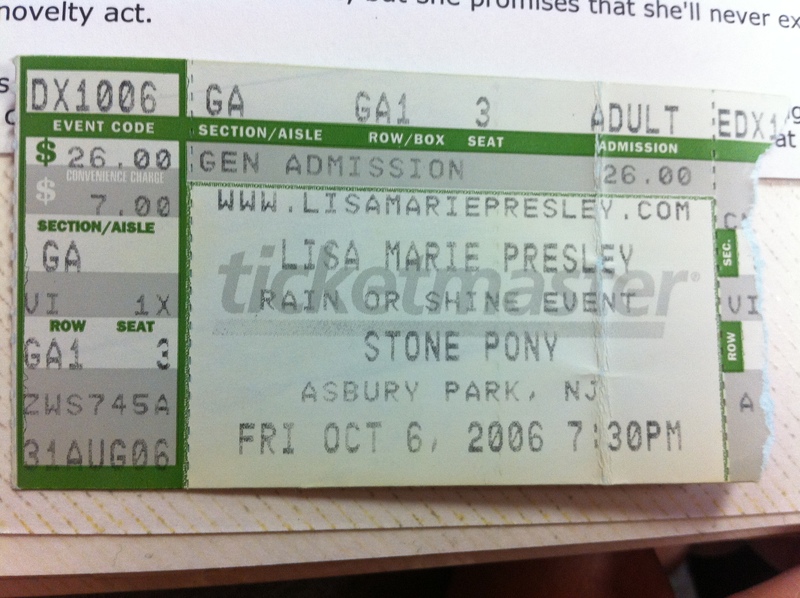 The next time I saw Lisa Marie Presley was in Baltimore on July 24, 2003. 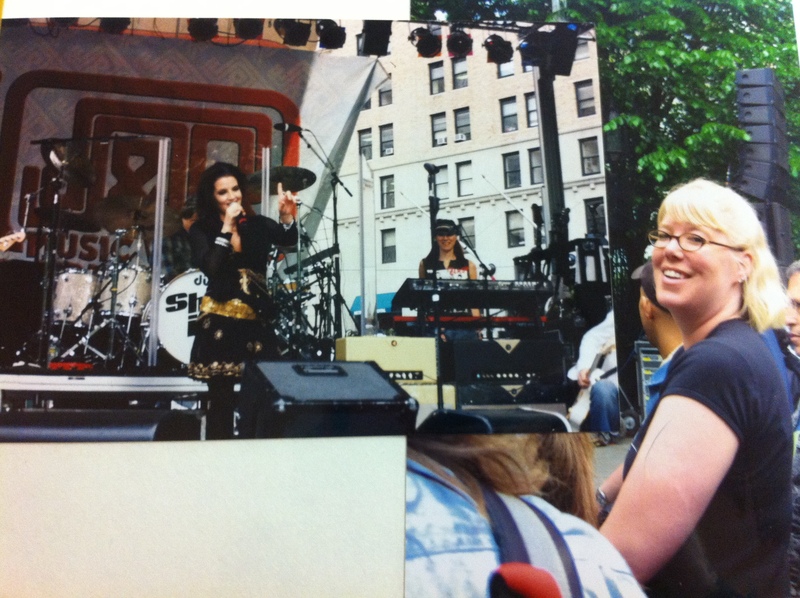 This was the first time I saw her in concert, and the first time I met her. 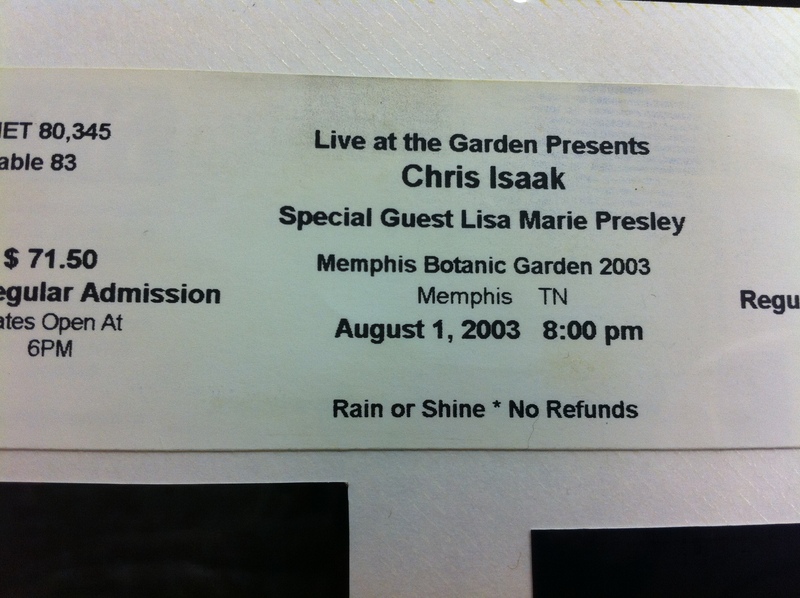 Lisa opened for Chris Isaak at Pier 6. 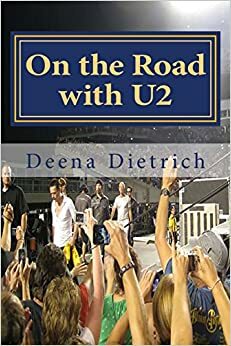 It wasn’t crowded, so I moved down to the front row – standing and singing the entire time! 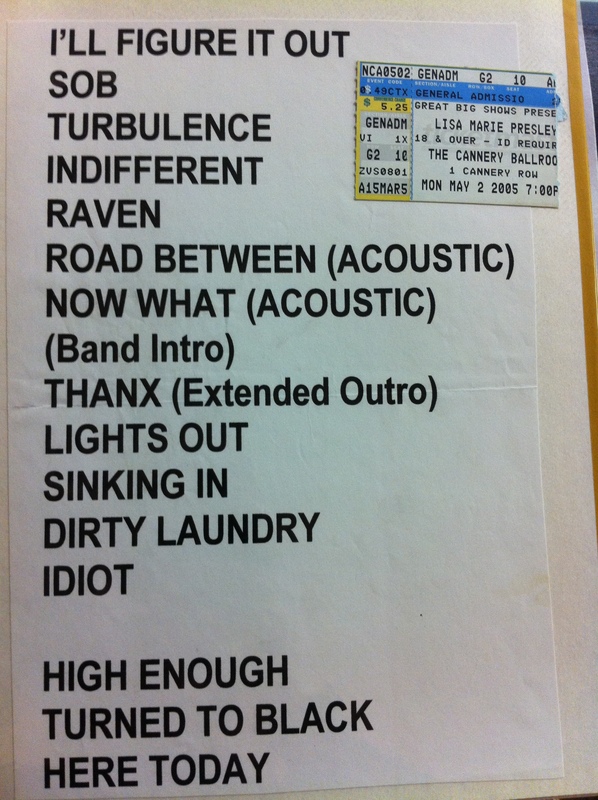 At the end of Lisa’s set, I asked for a set list and one of the guys gave it to me. 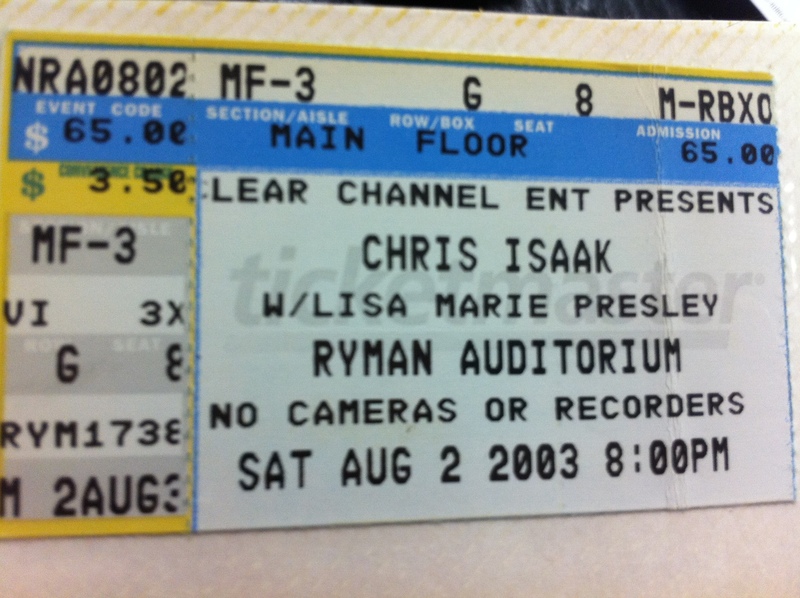 Then I left missing Chris Isaak because I wanted to meet Lisa. I went to the parking lot and after about five minutes, Lisa came out to greet everyone. She got to me, and I handed her my set list. 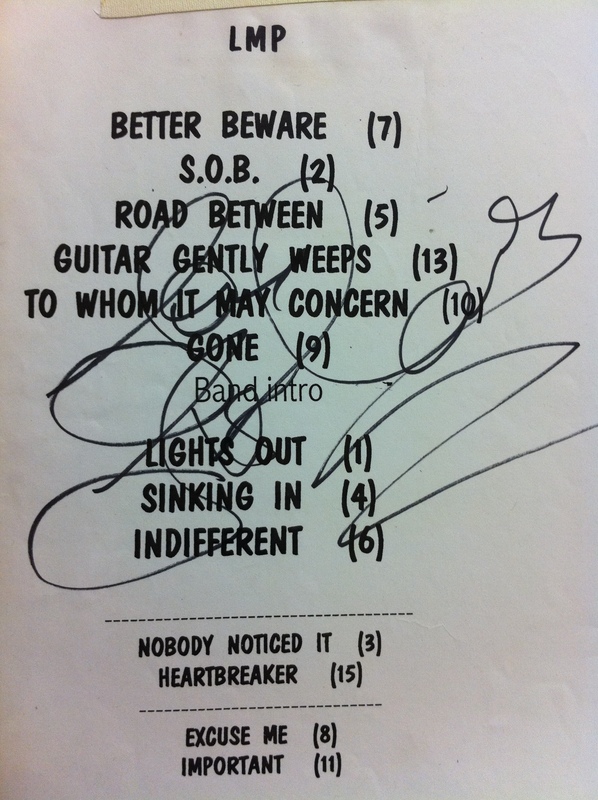 Lisa smiled and said, “Oh you got a set list!” I told her it was a great show, and she said thanks. 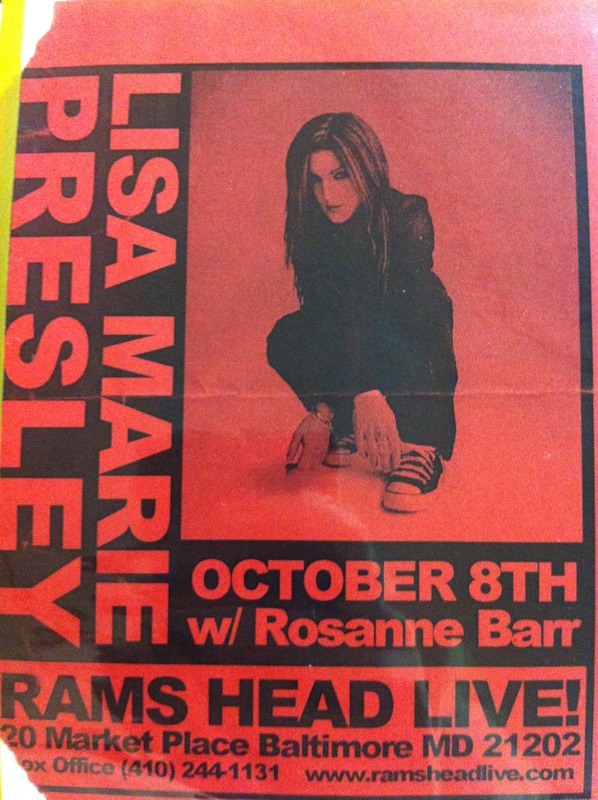 Then she said, “You were the one in front singing, right?” Lisa Marie Presley noticed me! 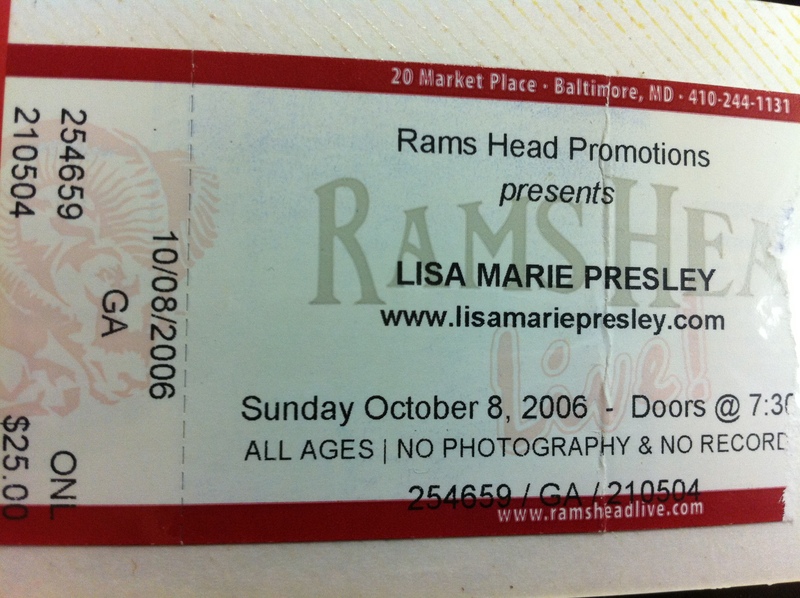 Two days later I saw Lisa Marie Presley in my hometown of Baltimore at Rams Head Live on October 8, 2006. 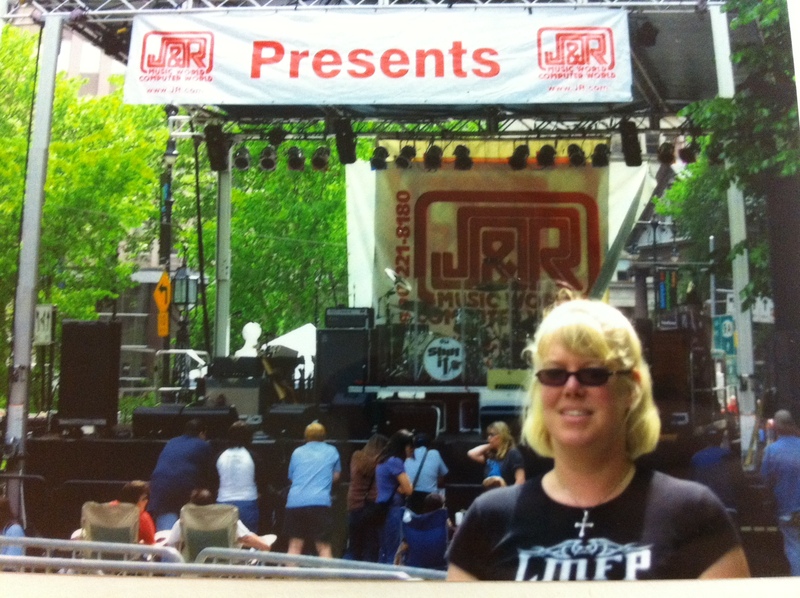 I was again front and center on the rail. Rosanne Barr opened and was hysterical. 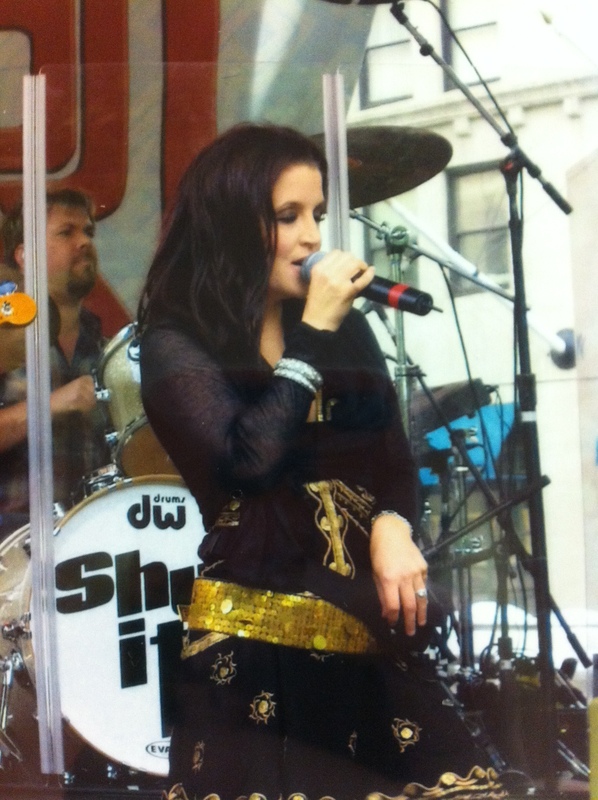 Lisa sounded amazing! 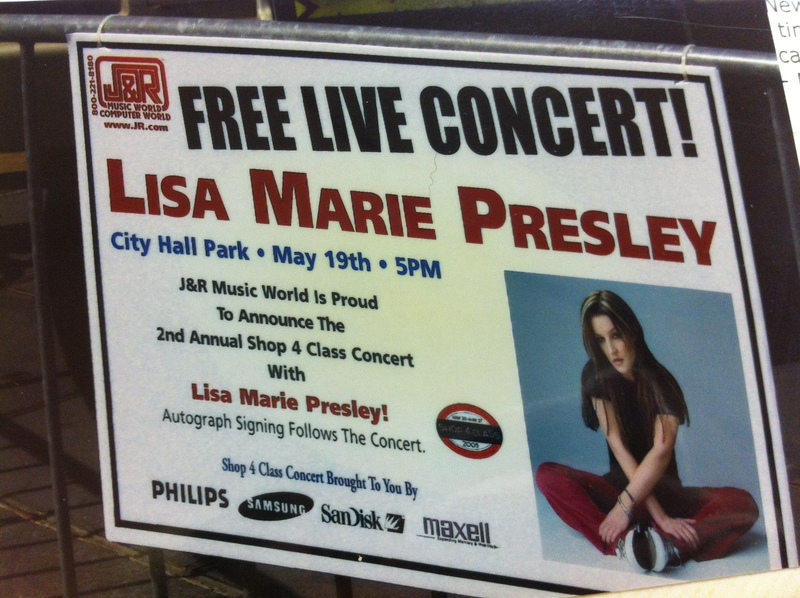 The crowd wasn’t great because they weren’t really Lisa Marie Presley fans, but by the end of the show, they got into it. 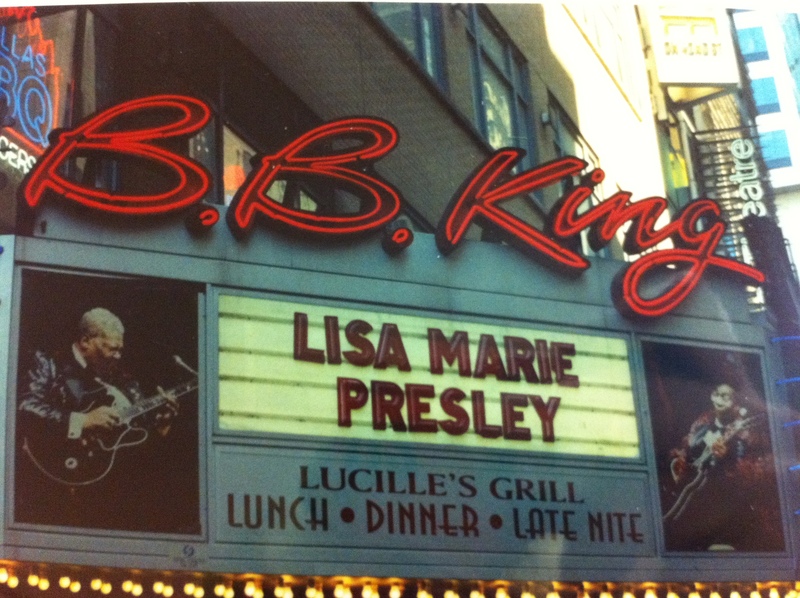 The set list was the same as the previous two shows except for the encore Lisa played Turned to Black and did a duet with Rosanne – Baby I Love You. There was a lot of interaction between Lisa and the audience. 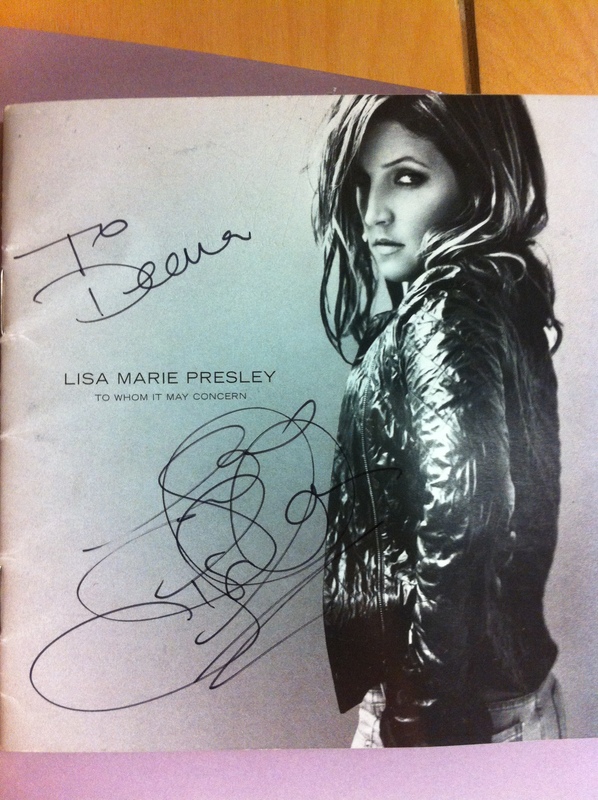 After the show, Lisa stopped to sign autographs and meet with her fans. 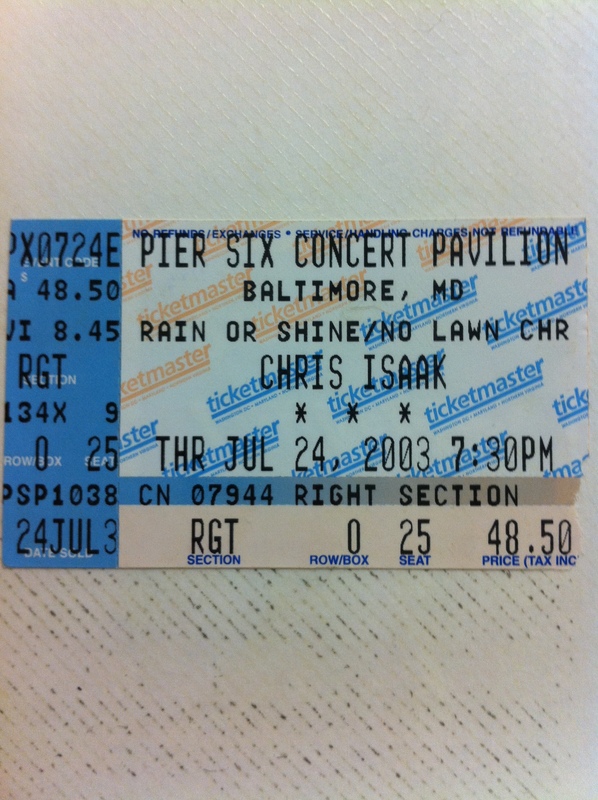 This Baltimore show was my favorite of the tour. 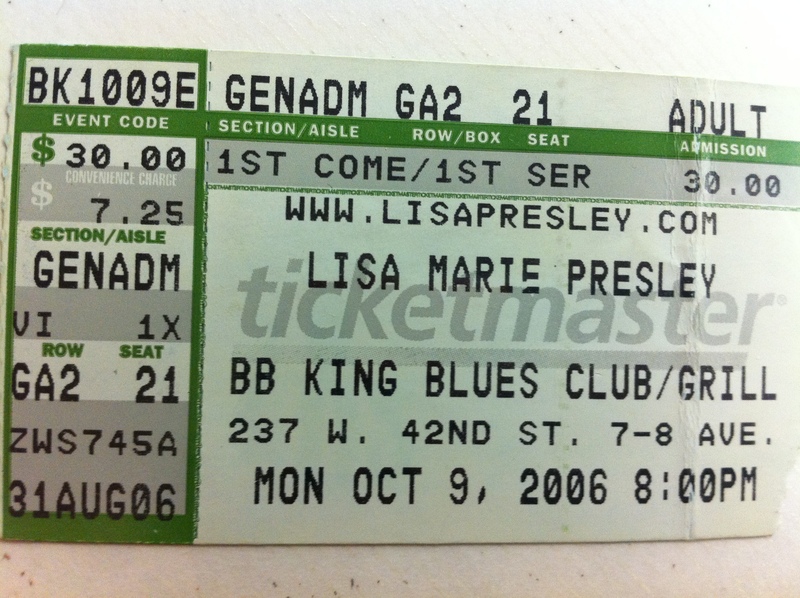 It has been almost six years since I have seen Lisa Marie Presley in a full concert. 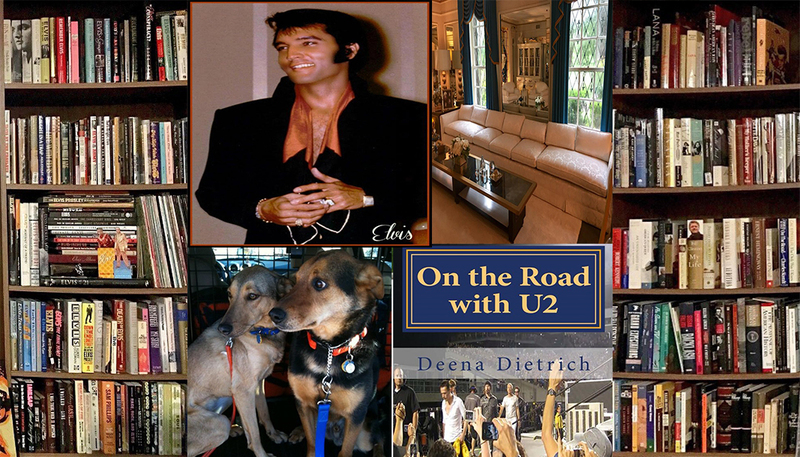 She is touring this summer to promote her new album Storm and Grace. 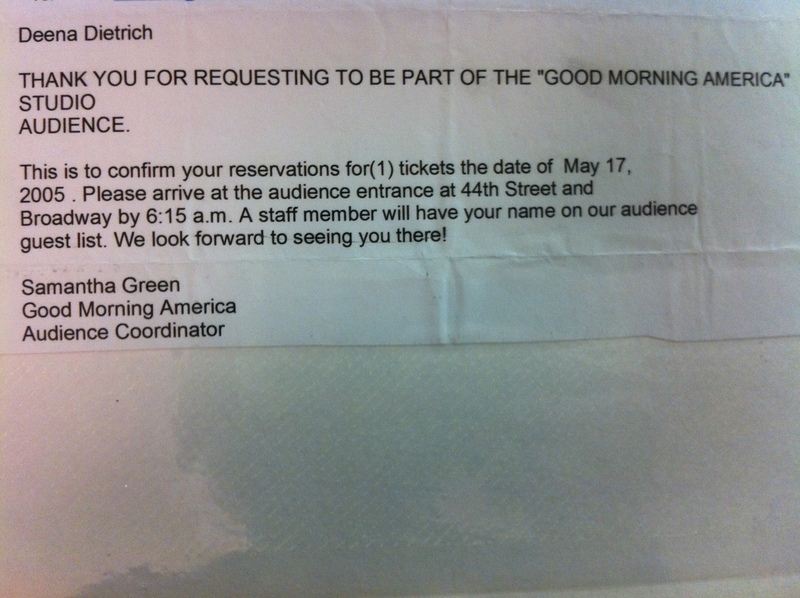 I am going to see her at the Soundstage in Baltimore on June 15th. 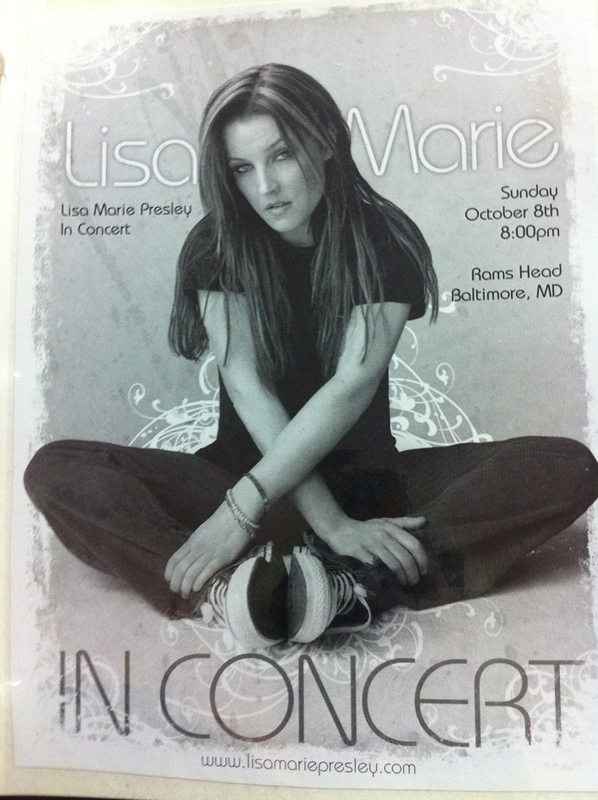 I am excited to see Lisa in Baltimore because it’s my hometown, and I have seen her perform every time in Baltimore. 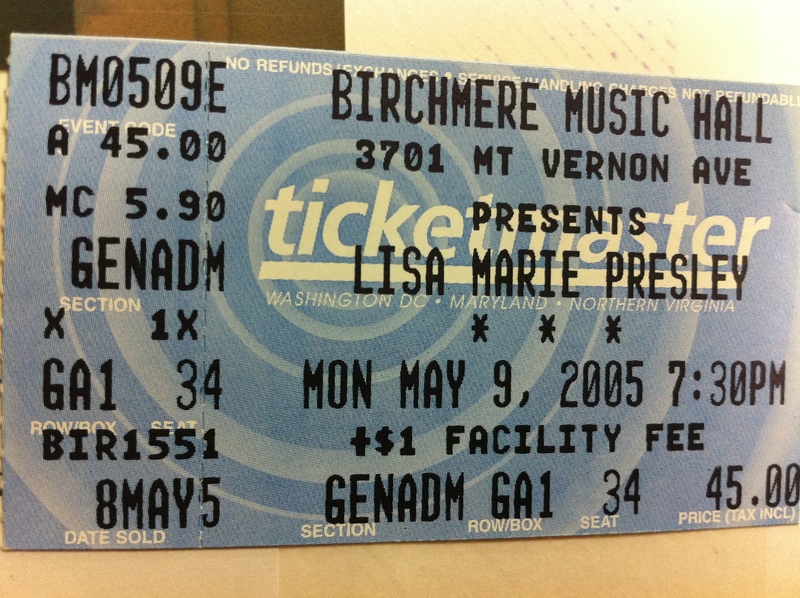 Lisa’s Baltimore show is a seated show for $75 – well I paid $75 because I wanted a table right next to the stage. 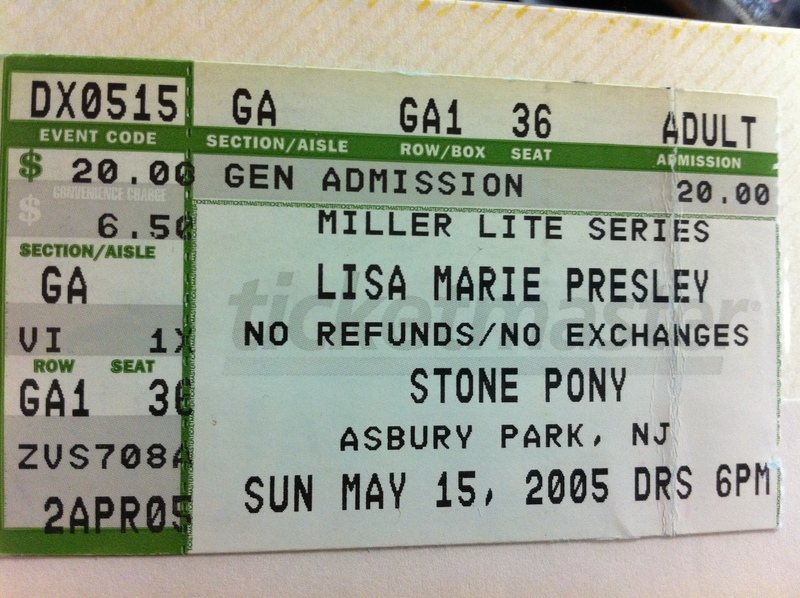 I am very excited to see Lisa Marie Presley in concert again! What a great way to start off my summer concert season!